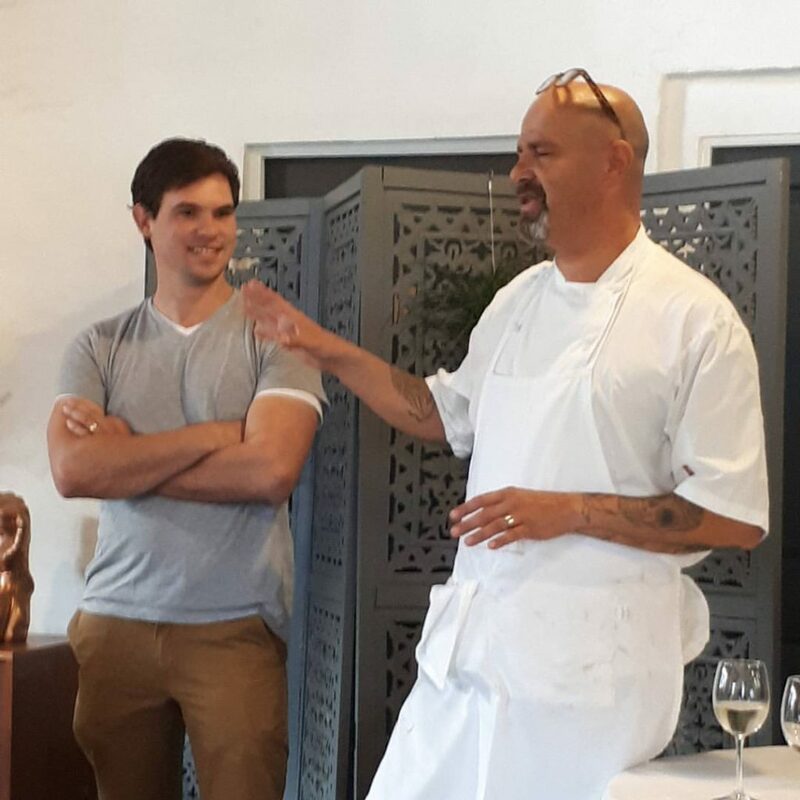 Last week, I think we experienced some of the finest cooking in the Cape paired by Franck Dangereux, chef patron of The Food Barn and Matt Day, driven winemaker at Klein Constantia. The invitation was one we could not refuse. Matt and Franck have wanted to do this some time where Matt would bring along 8 Klein Constantia Sauvignon Blancs and Franck would produce for each a dish he felt was the perfect partner. This was not lunch. It was an experiment in the marriage of some fine wines with truly sublime, innovative and amusing food. It was a four hour experience. Here are some pics of the fun we had. 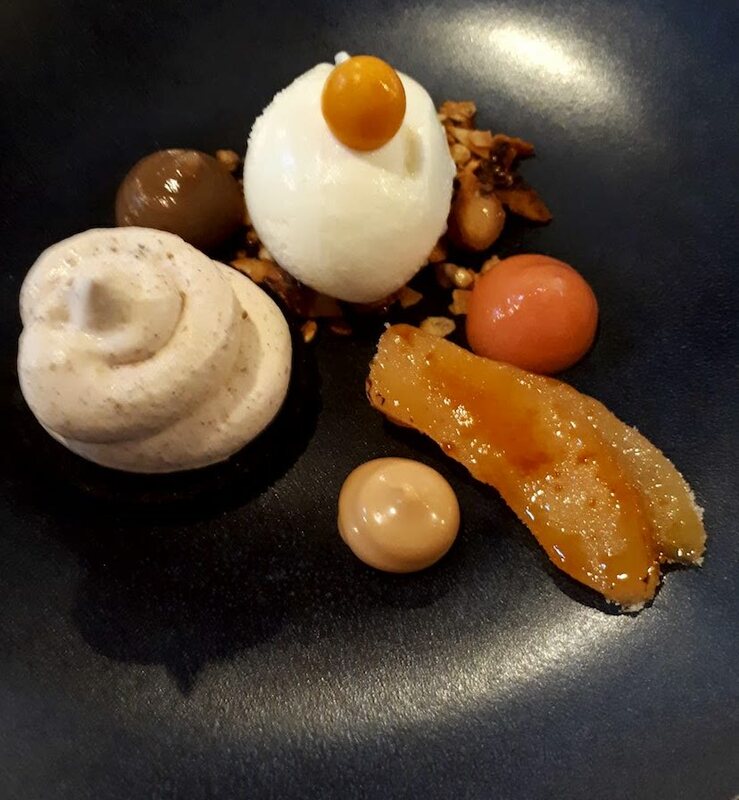 Served with a Klein Constantia Organic Sauvignon Blanc 2015, grapes from an organic vineyard in the Constantia Wine Appellation. The dish was fynbos smoked mussels potted in kelp, seaweed & citrus salad, oysters, togorashi and buttered rye. 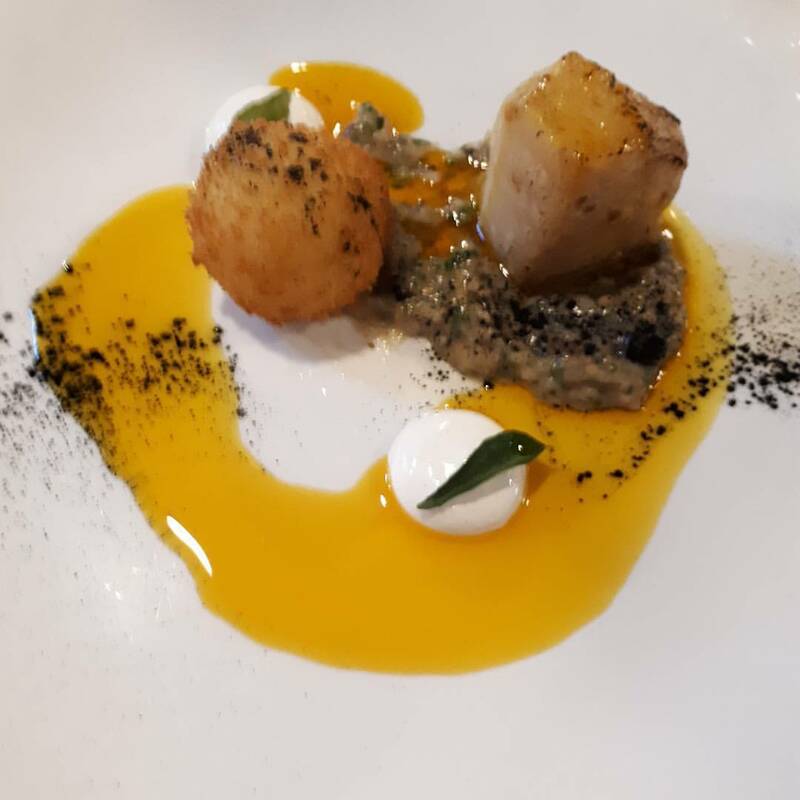 Served with two vintages, 2010 and 2003 of the Klein Constantia Estate Sauvignon Blanc, the 2003 being the legendary Ross Gower’s last vintage. 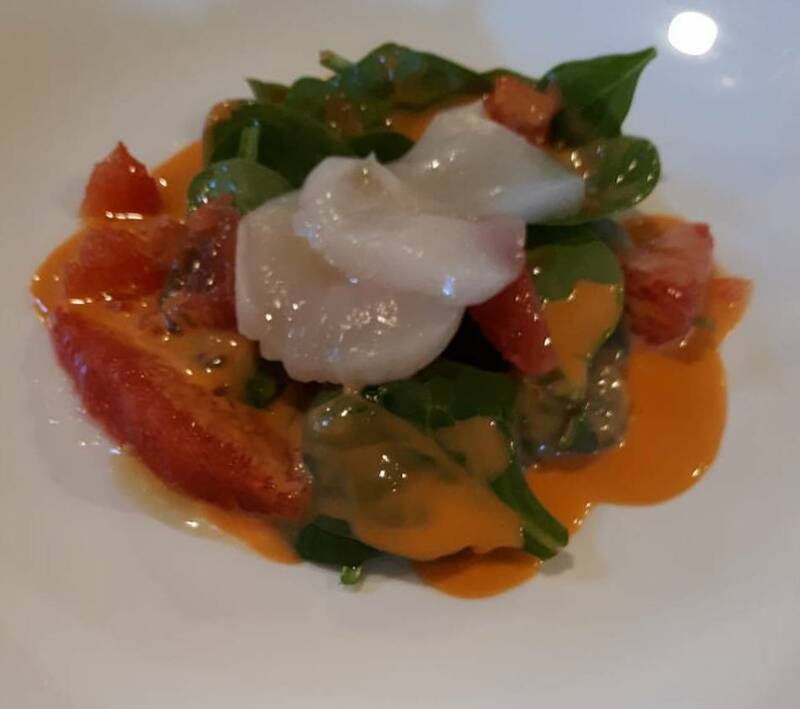 Tiny spinach, scallop sashimi, grapefruit cells, grapefruit butter. 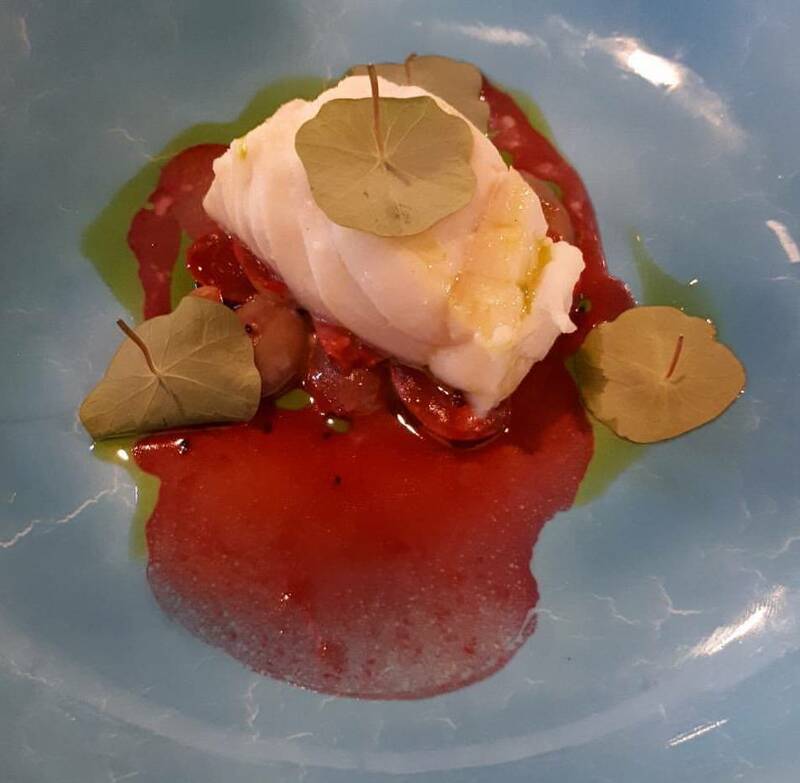 Served with Klein Constantia Metis 2015 which Matt makes in association with Pascal Jolivet. Ash roasted celeriac, mild chèvre beignet, burnt eggplant flesh, curry leaf oil. 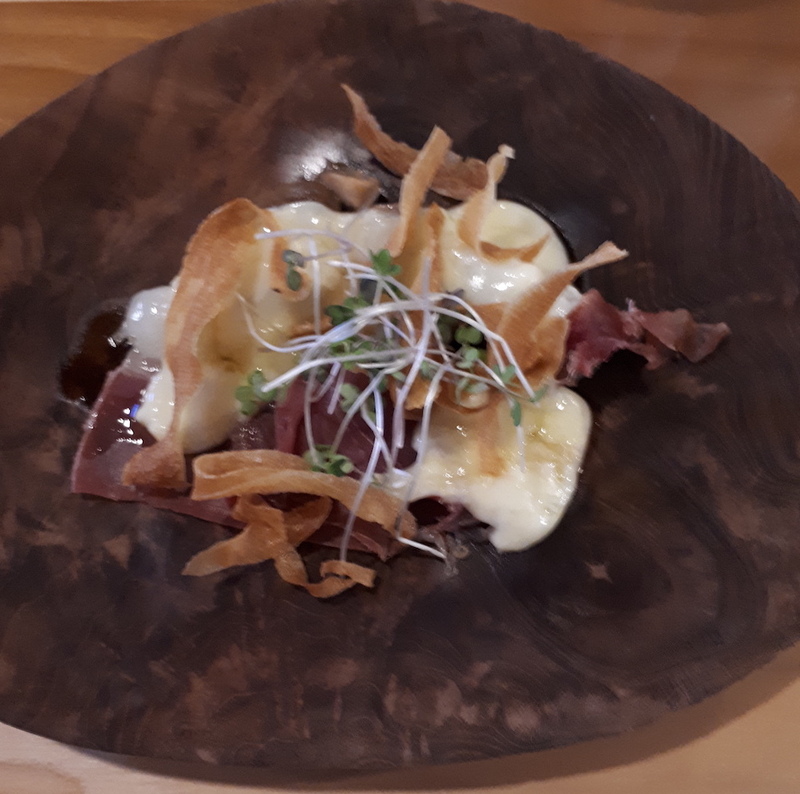 Served with Klein Constantia Perdeblokke 2015, from a steep vineyard ploughed by Percheron horses. 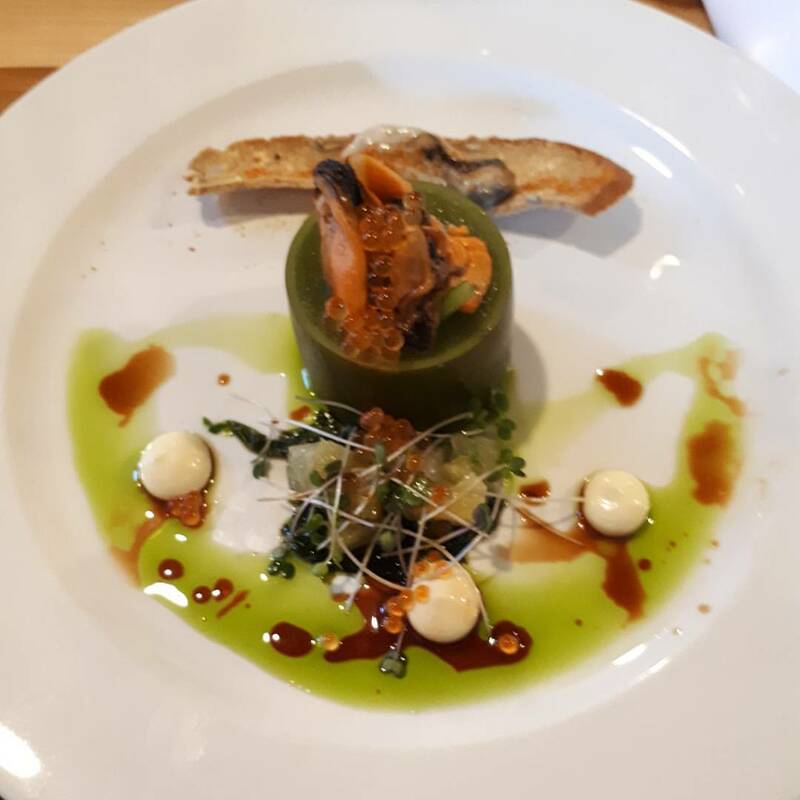 Served with Klein Constantia Block 382 2015, a small production. 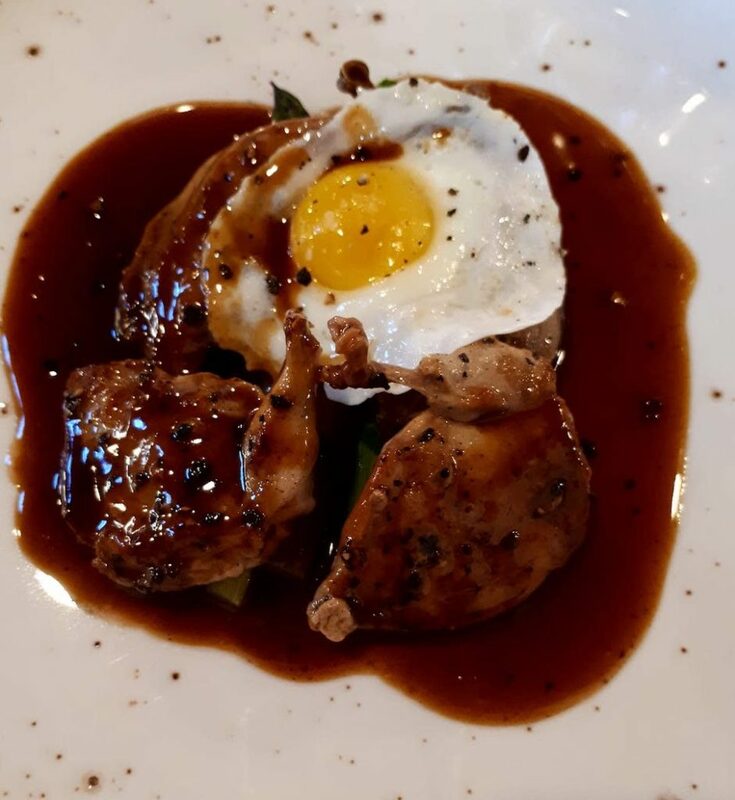 Seared quail, braising jus with vinegar and tarragon, green asparagus, quail egg. Served with the sublime Klein Constantia Noble Late Harvest 2002. Thanks to Franck for excellent food, and Matt for serious wine.